Dandelion is also known as, lion's tooth, blowball, and taraxacum officinale. It is found in temperate regions around the world, on roadsides, in lawns, on disturbed banks as well as waterways shores and other areas where there are moist soils. The officinale is considered to be a weedy species. I had great fun blowing the silver tufted fruits away into the wind! Historically, taraxacum was regularly used to treat, spleen problems, kidney diseases as well as liver diseases. Less commonly, taraxacum was used for digestive problems as well as skin conditions. It is used in Ayurvedic medicine, Traditional Chinese Medicine and Native American medicine as well as other forms of traditional medicine. Today, taraxacum is used as a kidney or liver tonic, as a diuretic, as well as for some minor digestive problems. The roots and leaves of the taraxacum, or the whole of the plant, are used dried or fresh in teas, extracts, or capsules. The leaves are employed in salads or cooked. The flowers are employed to make wine. The ESCOP (European Scientific Cooperative on Phytotherapy ) recommends dandelion root to treat stomach upsets, loss of appetite and restoration of liver function. The German Commission E approved combination products which contain dandelion root for similar illnesses. Research on animals in laboratory conditions suggests that taraxacum root mighty possess anti-inflammatory properties. Taraxacum is usually considered safe. Individuals with known allergies to chamomile, honey, chrysanthemums, y feverfew, yarrow, or any of the members of Asteraceae/Compositae families (sunflower, daisies, and ragweed) should avoid taraxacum. There have been some rare reports of diarrhea and upset stomach and diarrhea. 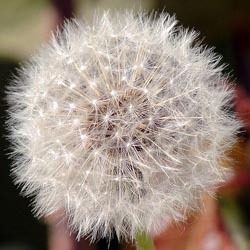 People blocked bile ducts, infected or inflamed gallbladder, should avoid using taraxacum.